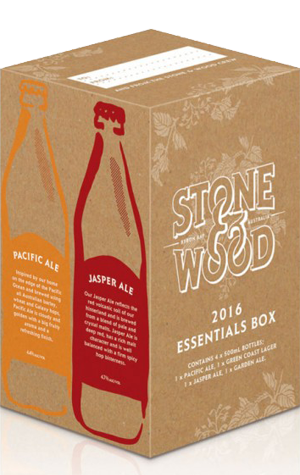 Another mixed pack for your consideration this Summer, this time from Stone & Wood. And there's nothing new or limited release here, instead a reminder of what the Northern Rivers brewery delivers for its fans year round. That means 500ml bottles of each of its four core beers, the hugely popular Pacific Ale, the unfiltered kellerbier style lager Green Coast, the delicately floral and peachy English beer garden style quaffer Garden Ale and the quiet one, Jasper the red ale. The four-packs are available direct from the Stone & Wood online store and then nationwide for the start of December, offering a chance to revisit the lineup that's helped make Stone & Wood one of the biggest and best loved breweries in Australia or to tempt newcomers into the fold.